I love everything about Vitamins Baby products! From their outfits to their toys. Both of my daughters Security blankets are by Vitamins Baby. The quality of their products are AMAZING. Alexandria is 5 and Cheyenne is 2 and they both still have their blankets in very loved condition. 🙂 Vitamins Baby also has a full line of adorable baby and toddler clothes. Recently, my son was sent one the their super soft Baby Blankie Buddies to try. It is the perfect size to throw into the diaper bag and go. Yet, it still brings him comfort when he needs it. And I don’t have to worry if they get dirty cause I just throw them into the washer on delicate setting and let it flat dry and he is good to go! Vitamins Baby Blankie Buddy was such a hit that I had to go out and buy one for Cheyenne. Each Blankie Buddy set includes two buddies! I love this. I don’t know how many times the kids have made one of their toys their absolute favorite toys and have lost it. Then I would spend countless hours looking for it or searching to buy a new one only to find out they are no longer made. Meanwhile, I have a child who lost their “best friend” and doesn’t understand. Each Blankie Buddy is 100% cotton and machine washable. Blankie Buddies come in 8 different animals including bunnies, bears, zebras, lions and more. Blankie Buddies are approximately 6 tall so they are perfect for you baby to carry everywhere with them. Be sure to “Like” Vitamins Baby on Facebook to stay up to date on all their promotions and new product releases. My Precious Kid Car Seat ID card is very useful! In case of an emergency the card gives emergency personnel everything they need to treat your child immediately if you are unable to. It includes everything from your child’s name, your address, date of birth, weight, height, home, cell and emergency phone numbers. There is a place to include a current picture of your child on the top left hand corner. On the reverse side it includes allergies, birth marks and medical needs. As well as your child’s doctor and dentist’s information, a place to put your child’s thumbprint and Medical Treatment authorization. When the entire card is filled out, place the card in the laminate seal to keep it safe from water. You place the Car Seat ID Tag onto your child’s car seat or booster seat with the enclosed tag holder. While these are called Car Seat ID cards I think they would be great to attach to your child’s book bag in case of an emergency as well. It helps let emergency personal know your child’s information when you are your child are not able to. You can get your child a ID Card by going here and following the directions. Please Follow My Precious Kid on Facebook. While you are there please check out all that MyPreciousKid.com has to offer! Sew Wickedly Sweet is owned by Kathy Dibble, who specializes in making beautiful hand made items from crocheted baby and toddler items to Waldorf Dolls and doll clothes. 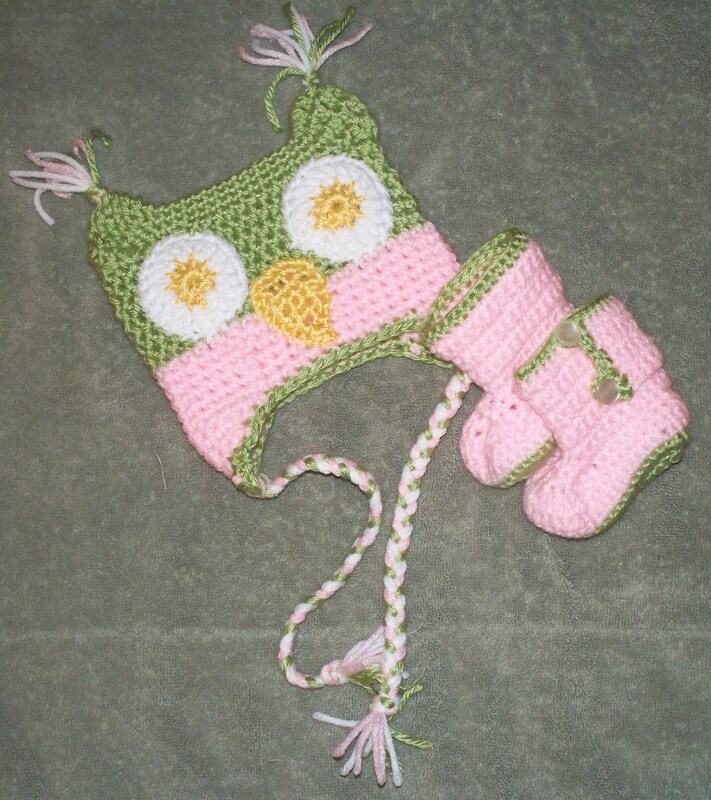 Recently we had the chance to review one of her adorable crocheted Owl hats. This hat is by far the most adorable and unique hats I have ever seen. Kathy Dibble handmakes all of her hats. My favorite part about our hat was that you can see the time and love that Kathy put into making it. Kathy makes sure that every item she makes is of highest quality. NY is known for our cold and snowy winters. And I am extremely happy to say that Our Owl hat will definitely keep Cheyenne’s ears warm and toasty. Cheyenne loves how cute the hat is and that it makes her look like one of her animals. Kathy also specializes in Waldorf Dolls. Waldorf Dolls are made using wool and cotton. Each Waldorf doll’s appearance is intentionally simple in order to allow the child playing with it to improve or strengthen imagination and creativity. The dolls have no facial expression. Their legs and arms are flexible, allowing natural postures. I have never seen dolls like these and they are extremely unique. It is very clear that Kathy takes a lot of time creating her dolls and giving each one their own personality. Kathy’s Waldorf Dolls would be the perfect addition under this years tree for that special little girl in your life. And would be sure to bring them a new best friend. Please check out Sew Wickedly Sweet on Facebook. To purchase any of Sew Wickedly Sweet’s handmade items please visit their Etsy shop.